Solagratiamom: 3rd Learning Celebration - Greek Vignettes! 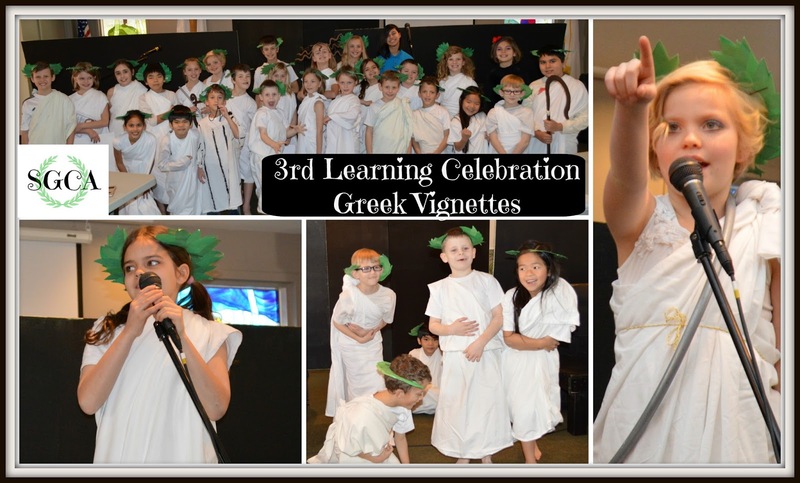 3rd Learning Celebration - Greek Vignettes! 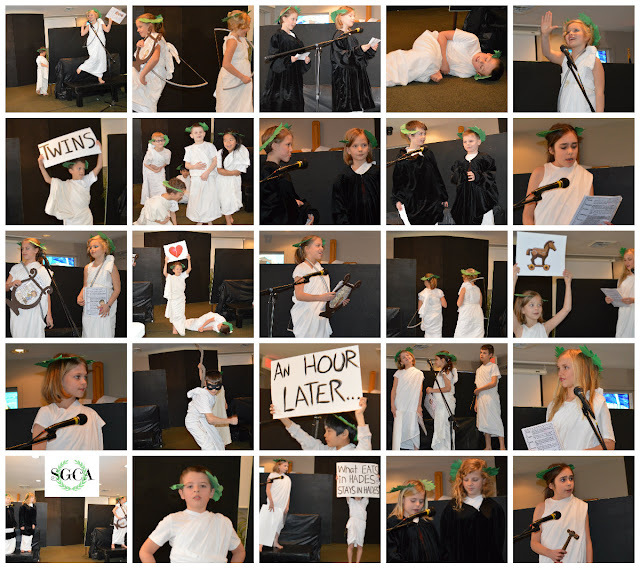 Our students started out their day practicing their parts and props, then they ate lunch together while watching a fun video about Greek gods. We played some games and then it was time to get ready for our guests arrival! 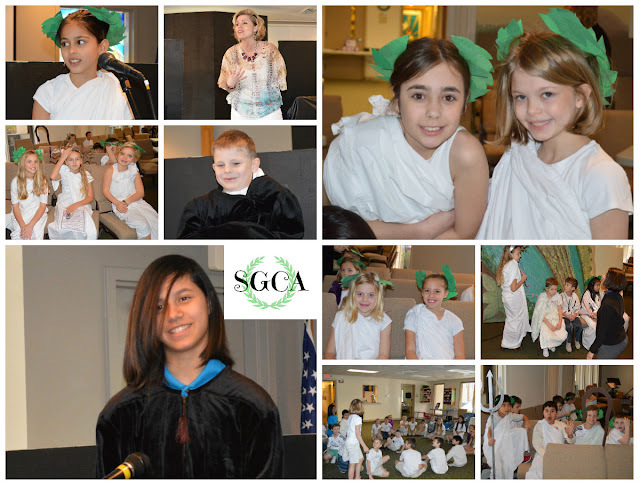 Our creative Great Books "Director" used the Greek Vignettes to emphasize character development for our students, and educate the audience. 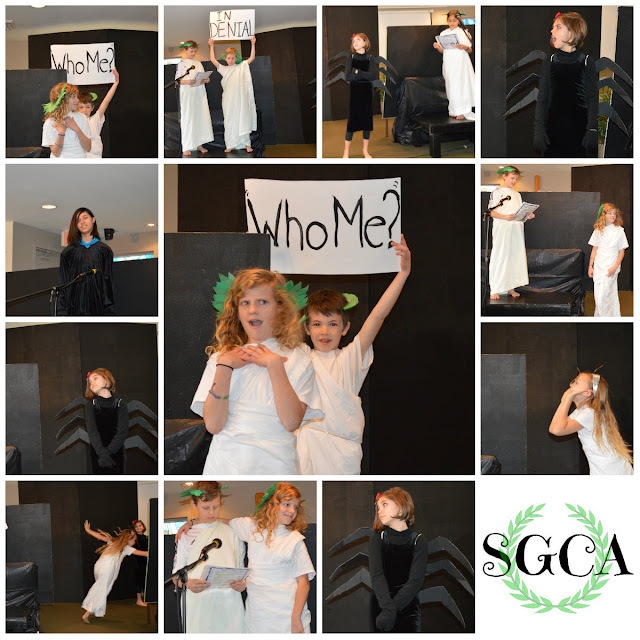 Each Greek god was "judged" and a verdict regarding their character flaws was passed, and they were admonished to a godly character trait instead. Throughout the vignettes there were interjections of humor through visual signs, side bars, and the kids great acting skills! 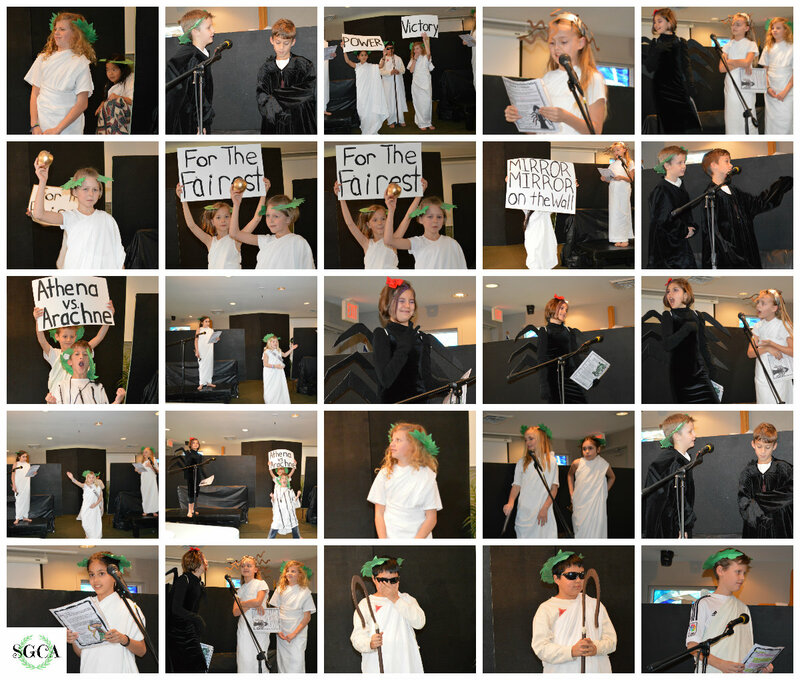 It was a memorable way to celebrate Greek mythology! Awesome idea. 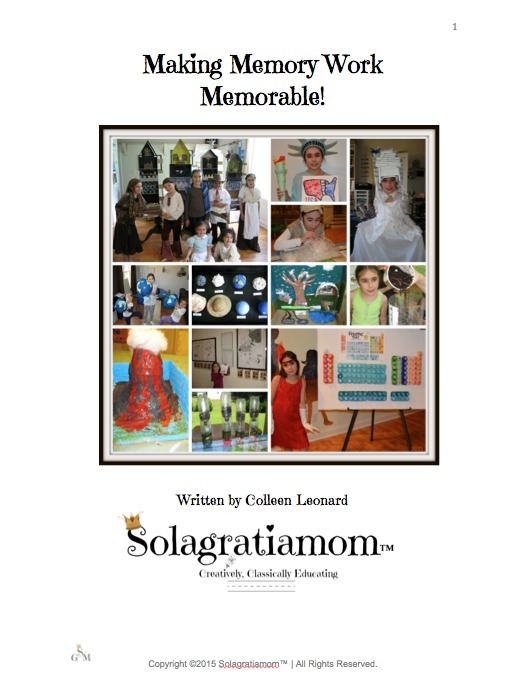 So very creative! I love peaking into your days.